Space Grid is a fully automated Expert Advisor. Space Grid was developed and tested specially on eur/usd on a 5 minute timeframe. The backtest was performed with 99.90% quality data and shows excellent results. 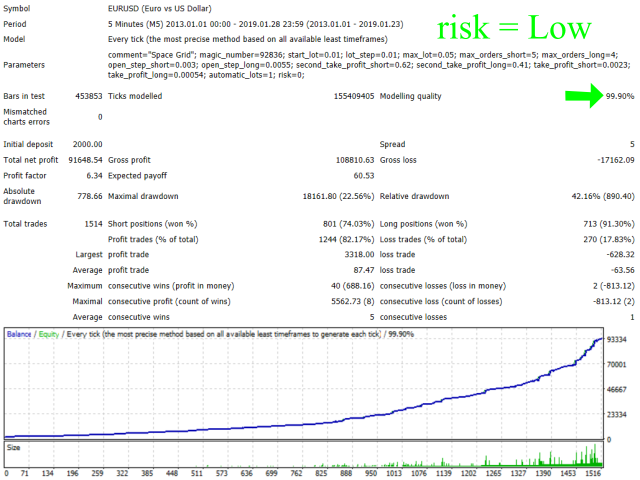 Tested with multiple spread levels, long swap and short swap included. 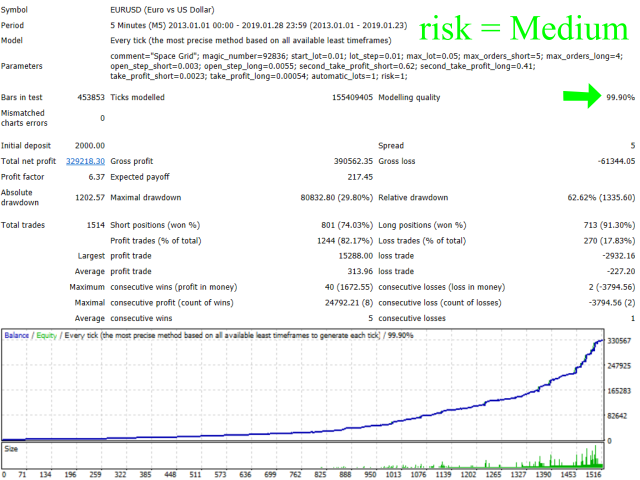 It is essential to do the every tick backtest. comment: comment of the order. 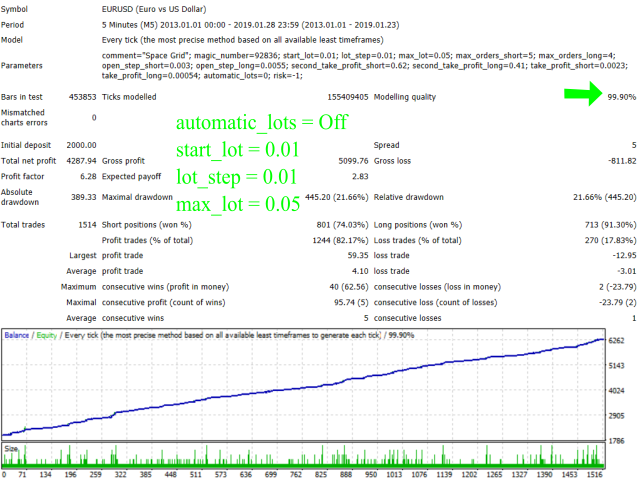 automatic_lots: "on/off", for allow the reinvestment of profit.